Maria Eleonora of Brandenburg was born 11 November 1599 in Königsberg, to parents John Sigismund, Elector of Brandenburg, and his wife Anna, Duchess of Prussia. Her mother has been described as dominant, and she practised strict Lutheran orthodoxy. Maria Eleonora did not receive any formal education but showed great abilities in embroidery, drawing, and music. Described as the most beautiful queen in Europe, relatively few biographies have been written about her. 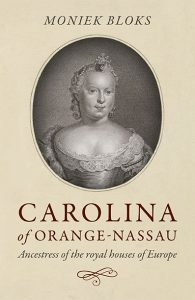 Perhaps her roles as wife and mother have been overshadowed by the brilliant King Gustavus Adolphus and Queen Christina, and she has thus been of less interest to historians. In the ones that exist, however, the descriptions of her are anything but friendly. She has been called unstable, lavish, stupid, weak, hysterical, and immature. Throughout Swedish history, no other queen has been met with such judgment. The marriage between Maria Eleonora and King Gustavus Adolphus was arranged by the Swedish court and the bride’s family in Brandenburg, but not everyone was in favour of the union initially. The princess’s brother, George William, Duke of Prussia, feared it would lead to conflicts with neighbouring Poland, who at the time possessed the much coveted Prussian coastal strip. At one point, Duchess Anna wrote a letter to the King’s mother, Queen Dowager Christina, pleading for comprehension. As a mother, wouldn’t she understand their point of view? 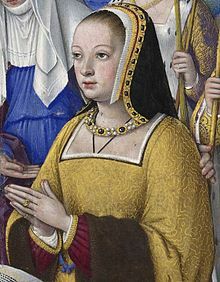 Both of them wanted to make sure their children married suitable candidates, but unlike Anna, Christina believed a union between Brandenburg and Sweden would only be beneficial. She was convinced the Duchess would change her mind later on. In 1619, John Sigismund died, and George William was raised to power. His way of handling political issues did not please his mother the Duchess, who began to question her standpoint regarding the Swedes. After four years of negotiations, Gustavus Adolphus was invited to Berlin, where he met with both the Duchess and her daughter. George William was in Prussia at the time. After a chaperoned dinner, the King personally proposed to Maria Eleonora, who said yes. 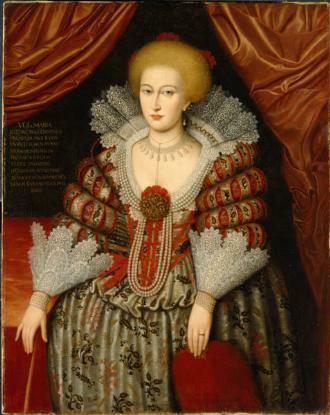 Despite protests from her son, the Duchess managed to smuggle her daughter out of Brandenburg to Mecklenburg, where Swedish ships were waiting to bring her to Kalmar. Following a month of travelling at sea, Maria Eleonora arrived safely in October of 1620. The wedding took place in Stockholm in November, and the bride wore a beautiful, blue embroidered dress from Hamburg. Throughout the 17th century, Stockholm was under constant construction. The court was determined to build a respectable capital, and Maria Eleonora was eager to take part in the transformation. She thought of Stockholm as a cold and simple place, far away from everything that mattered. Compared to Berlin, it had been a huge disappointment to her, but she did believe it had the potential for greatness. She began ordering goldsmiths, pearl knitters, musicians and ballet dancers to come from France and Germany, and her efforts made her a cultural patron within the Swedish court. In her role, she delegated assignments and awarded scholarships to countless of artists and craftsmen. She possessed a genuine interest in architecture and would draw her own sketches of churches and palaces. She loved fashion, music and art, and was happy to discover that the King shared, to some extent, her passions. She is said to have been deeply in love with her husband. Every time he had to be away for longer periods, she sunk into deep depression. In letters to both the King and her sister-in-law Catherine Wasa, she wrote about how she was so concerned for the King’s life while in combat, that it stopped her from eating and sleeping. As for any royal wife, Maria Eleonora’s main duty was to produce a male heir. She must have become pregnant shortly after the wedding, because only eight months after the ceremony, she gave birth to a daughter. Sadly, the baby was stillborn. Two years later, she became pregnant again with another daughter. She was given the name Christina and was declared heiress presumptive of the Swedish throne. Tragedy struck again when the baby died at only 11 months. In May of 1625, she gave birth for the third time, this time to a much-awaited boy. He too was stillborn. Luckily, the story had a happy ending. In December of 1626, the Queen gave birth to a healthy baby daughter, Christina, who would grow up to be one of the most fascinated figures of European royalty. Shortly after the birth, the new mother showed symptoms of what would be classified today as postpartum depression. Due to her condition, which was simply described as “hysteria”, the King wouldn’t allow her to have much influence in her daughter’s upbringing. He was determined to raise Christina like a boy, and she was placed in the care of her aunt Catherine and the Chancellor Axel Oxenstierna. 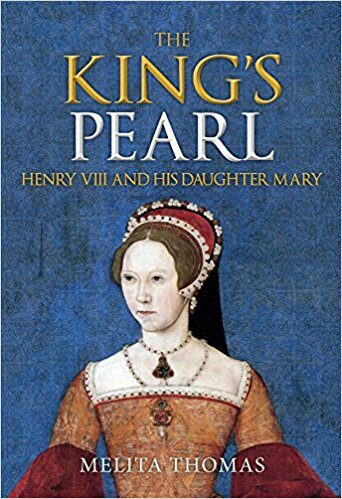 The fact that the King had to leave to fight in the Thirty Years War didn’t help the Queen’s condition, and after many begging letters to the Chancellor, she was allowed to go with him to Germany. She moved into Wolgast Castle together with her court and spent her days writing letters to family members. In these letters, she showed signs of happiness after years of depression. She expressed pride when talking about her daughter Christina’s many admirers, and seemed genuinely excited about being closer to her husband. In November of 1632, Gustavus Adolphus was killed in combat, and Maria Eleonora entered deep grief. She returned to Stockholm, but would never truly recover from her husband’s death. She is said to have kept his heart in a box for many years afterwards. The new widow was immediately excluded from the court, as it was decided she would have zero influence of any kind. Her fragile state might have been a factor in the decision-making process, but it was not the only thing causing Counsellor Oxenstierna to exclude her. According to him, Maria Eleonora was “full of initiative”, and way too “Danish friendly”. He claimed that she had written a letter to him, explaining how a Danish envoy had reached out to her to discuss a possible marriage between Christina and the Danish prince Ulrik. She was regarded as a threat, and the court began monitoring her every move. In 1636, she lost the parental rights to her daughter and was transferred to Gripsholm Castle. She wanted nothing else but to return home to Brandenburg, but the government wouldn’t let her visit. Miserable and determined to take control of her life, Maria Eleonora contacted Sweden’s archenemy, Danish King Christian IV, and the two began a series of secret negotiations. In July of 1640, dressed like a bourgeoisie girl, Maria Eleonora escaped Gripsholm castle. Her first destination was the island of Gotland, where two Danish warships were waiting for her. They were supposed to bring her to Brandenburg, but Maria Eleonora convinced the captain to go to Denmark. King Christian welcomed her upon her arrival but wasn’t particularly pleased with her being there. He eventually pleaded with her to leave, but an offended George William refused to welcome his sister back to Brandenburg. She had to wait until his death in December of 1640 to return home to her native land. By 1648, Sweden was no longer participating in the war, and thanks to Christina, now aged 22, Maria Eleonora was able to return to Stockholm. She had been missing her daughter, and Christina believed it was affecting the country’s reputation negatively to have her mother living abroad. Once back on Swedish soil, Maria Eleonora spent most of her time at Nyköping Castle and participated in knight games, balls and ballets arranged by her daughter’s court. In 1650, at Christina’s coronation ceremony, she was given her own carriage. 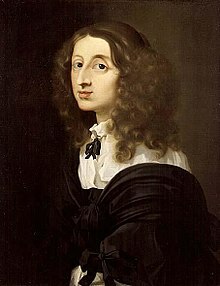 Maria Eleonora died on 18 March 1655. She is buried in the Riddarholm Church next to her husband and two of their children.